ABOUT US | Parisian Lady specializes in custom design clothing, garment re-makes and is one of the largest leading private custom design bridal boutiques in the Lower Mainland & Fraser Valley area. Parisian Lady custom design & fit boutique is a little private boutique, set in a residential neighborhood in beautiful Maple Ridge, BC. Part of it's charm is that it's located inside a post-war 1950's era home, and it makes you feel like your stepping right into a little boutique found just around the corner somewhere in Paris with it's pink walls, art nouveau inspired fitting mirror and little chandeliers. It's where the latest in Bridal, Fashion, Fabric and Style happen and if you have a fashion or fit query, they can handle it and will offer the best professional service & advice you will find. At Parisian Lady you can shop the boutique for a gorgeous one-of-a-kind item, order from their exclusive collection by Christy McMaster, have your garments tailored & have anything custom designed from a Bridal Gown to a full Made-to-Measure Wardrobe. 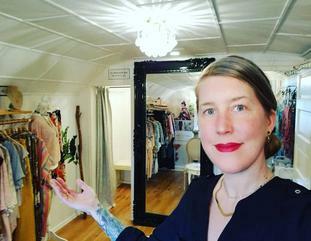 Parisian Lady specializes in custom Clothing Design, Re-Makes and Alterations and is one of the largest leading private residential boutiques in the Lower Mainland & they look forward to meeting you! Exceptional service, product & quality. Our vision is to help women feel amazing about themselves, by empowering them to express themselves & be confident in their own personal style, whatever that may be. 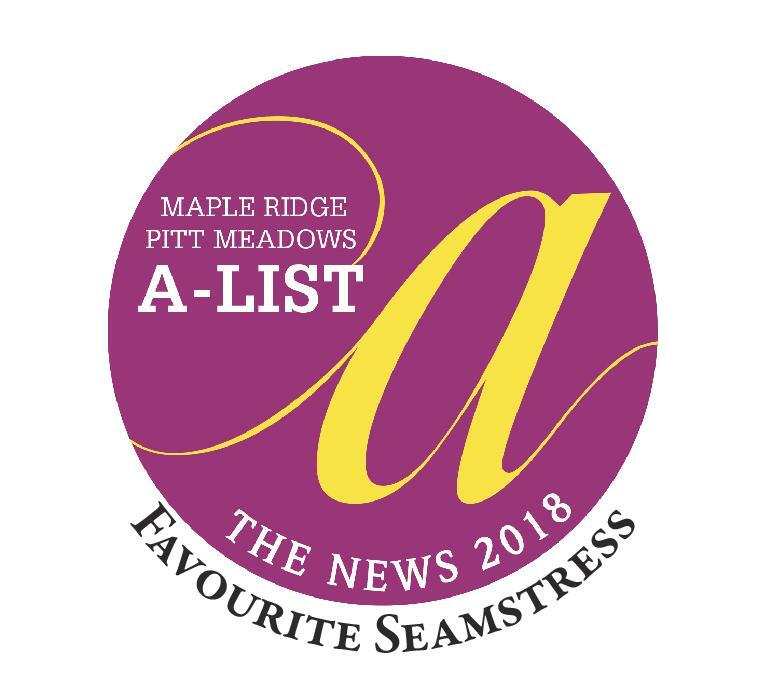 When designing for our own line or for our customers, when clothing our bodies with luxurious fabrics, quality craftsmanship and original clothing pieces, our hope is for women to feel fabulous in everything they wear! We strongly believe in Small Business and supporting local which is why our clothing line is designed and locally produced using locally sourced fabrics and materials. Each and every one of our designs has been made with quality materials & locally hand-made and created with love & care and are all original pieces. Born and raised in Vancouver B.C., Christy is a Canadian based professional Clothing Design, Re-make & Alteration specialist. Christy began designing in 97', a graduate of Fashion Design from UFV in 2000 and a graduate of the Self Employment program from Douglas College in 2007. Transforming fabric into clothing with a purpose is her ultimate passion. Creating a piece that emits a particular look, a feeling, an attitude, or a reason to stand tall with confidence and not only love the way you feel in what your wearing, but help define a personality, a personal style or even an attitude, is a reason in itself. Following her lifelong passion in 2007 she launched her company PARISIAN LADY, inspired after the central hub of style, fashion & romance, alas....Paris! When not hard at work and being an avid entrepreneur and business woman, she enjoys eating good food, drinking good wine, surrounding herself with loved ones, her 3 cats & shooting for the stars.